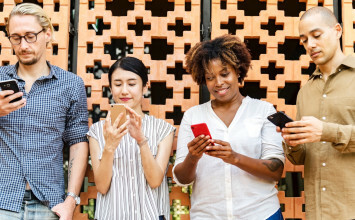 Regardless of your geographic location or the size of your properties, engaging your communities and partnering with charitable organizations is a must for property management companies. Beyond the mantra that “doing good is good for business,” having a joint mission of helping others forms a tight bond among residents and creates a feel-good vibe at your community — regardless of whether a resident’s stay with you has just begun, or is at a close. 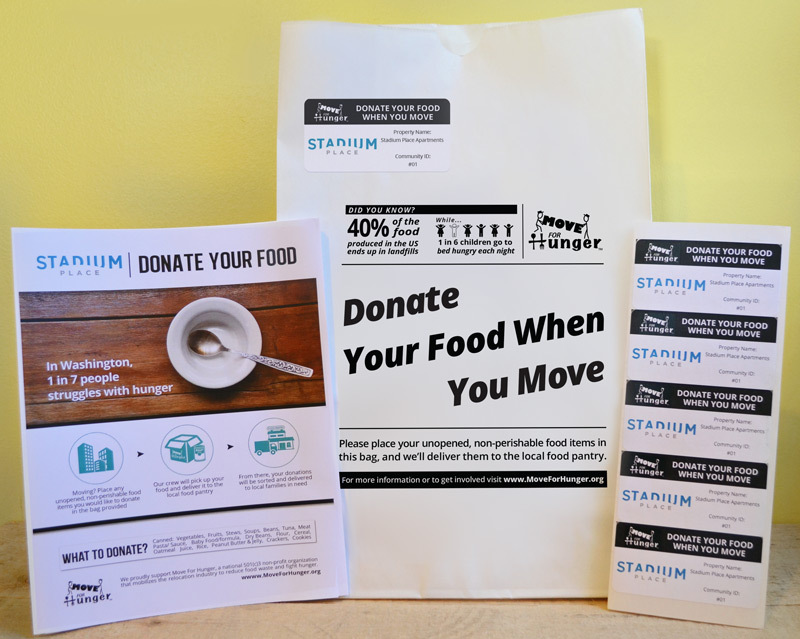 Move For Hunger, a non-profit in the relocation space committed to fighting hunger, recently launched a property management program to help apartment communities reduce food waste when residents move out of apartments. Often, when people move, they leave behind or throw away perfectly good, non-perishable food. By partnering with Move For Hunger, you can ensure that food ends up on the table of a family in need instead of in the trash. We sat down with Kelly DePinho, Program Manager at Move For Hunger, to learn more about MFH’s commitment to helping property managers make an impactful change in their communities. In your own words, can you tell us a little about Move For Hunger and its mission? Absolutely! 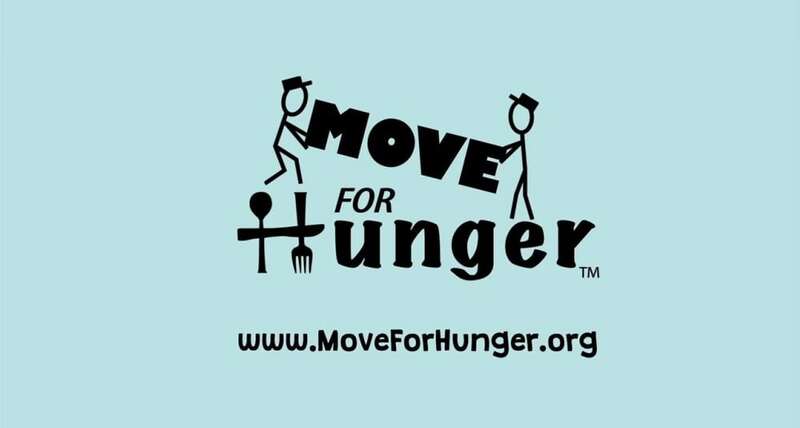 Move For Hunger is a non-profit organization that mobilizes the relocation industry to reduce food waste and fight hunger. In addition to collecting food from people who are moving, Move For Hunger helps companies and individuals across the United States and Canada organize successful food drives. Over the years, Move For Hunger's network has collected and delivered over 11 million pounds of food to families in need. That’s amazing! We know that MFH recently started partnering with property management companies. Can you tell us a little bit about this initiative? When people move, they typically throw away a ton of food. Often, this food is perfectly good and non-perishable. Properties and property management companies, however, can help residents donate, what they otherwise would be throwing out, to families in need. The idea is that when a resident gives notice that they are moving out of a community, the property manager provides them with the option to donate any non-perishable, unopened food they are not taking with them. They also provide the resident with a food collection bag (provided by MFH). 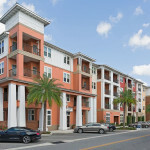 The resident then fills the bag with food and brings it to a central location, such as the leasing office. MFH collects the bags and drops it at the local food bank. Why is right now the ideal time for MFH to partner with property management companies? While Move For Hunger initially started working with moving companies, we started working with corporate housing providers in 2015. Since corporate housing is closely tied to apartment communities and property management companies, we quickly knew that there would be a huge opportunity to collect food from people terminating their leases. Helping communities collect food from residents upon move-out ensures that even more food ends up on the tables of those that need it, rather than in landfills. It’s an ideal time for property managers to partner with us because the program is new and gaining momentum quickly! Do you have any success stories you can share with us? Of course! One that comes to mind is Pillar Properties out of Washington state. They had one property participate in the initial pilot program in Seattle and collected so much food that I immediately got on the phone to congratulate them. They ended up signing up five of their other properties. Since then, they have collected nearly 1,000 pounds of food! That is equivalent to 833 meals. In total, all of our participating communities have collected over 8,000 pounds of food or nearly 7,000 meals. It’s truly amazing! 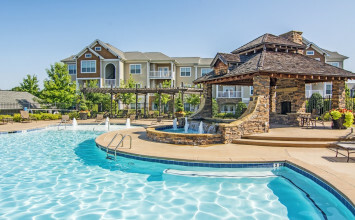 In your opinion, why is it so important to have multifamily communities involved with MFH? 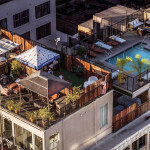 Multifamily communities have a unique relationship with their residents. Through services they provide and resident engagement events, communities don't just provide a space to live in, but an environment that feels like home. 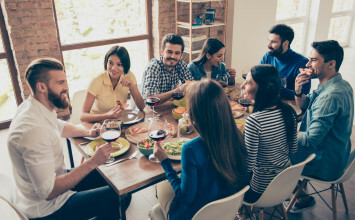 Joining Move For Hunger ensures that properties can connect with their residents in a positive way that gives back to the community at large. How can property management companies get started with MFH? Properties or property management companies can fill out a form on our website. We generally ask for a $200 donation per property to get started. However, if multiple properties from a company are signing up at once we may be able to offer a discount and some extra benefits included in a partnership. At the end of the day, we’re all working towards a common goal. The more Move For Hunger can help apartment communities on their end, the better off we all are. To learn more about Move For Hunger’s apartment community initiative, check out their flier and enrollment information below and some fun pics from the program! You can also reach out to Kelly directly by emailing her at kelly@moveforhunger.org.